Back in the day, getting out on track took some serious commitment. 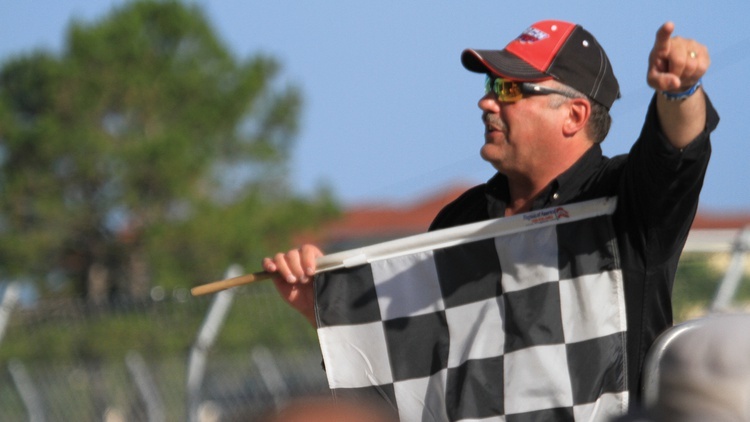 You had to build a race car, go through driver school, and then earn your competition license. Today it’s a bit simpler thanks to the proliferation of non-competitive track events: You go, run laps, have fun, and then head home. Novices Welcome: Most groups offer some kind of novice instruction that usually includes both classroom and in-car teaching as well as dedicated run groups for those first-timers. The groups will pair you with an instructor, so don’t worry about having to bring your own. 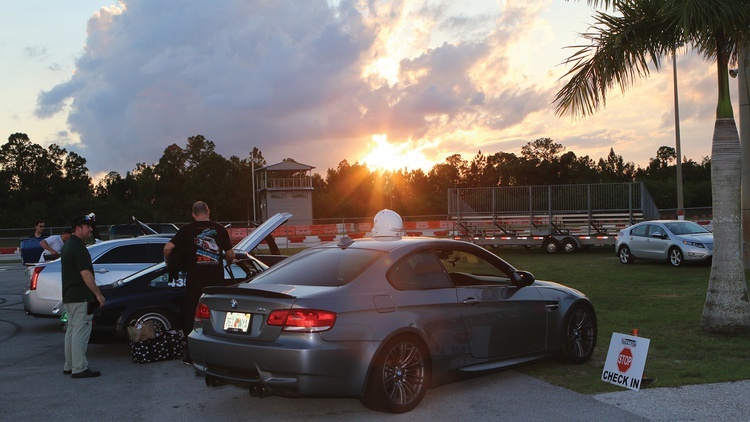 Some programs, like the SCCA’s Track Night in America and NASA’s HPDE 1 run group, specifically cater to newbies. Run Groups: You’re going to be out there with others, but fields are almost always separated according to driver experience. Expect to find groups for novice, intermediate and experienced. Unsure of where you fit in? Just ask. If in doubt, err on the side of caution. Passing: Yes, there will usually be passing. Some groups require a point-by Others have open passing. Each club, as well as each run group, will have its own passing rules. Generally speaking, novices will require a point-by while experts can usually pass at will. Specific Feel: Each club will have its own vibe, too. Some tend to attract experienced drivers with the latest hardware, meaning grids full of GT3 Porsches and track-prepped Vipers. Less intense and small-bore drivers might head to another organization. Unsure which group is for you? Visit events and check them out. Once you see the cars on grid, you’ll get what we’re talking about. 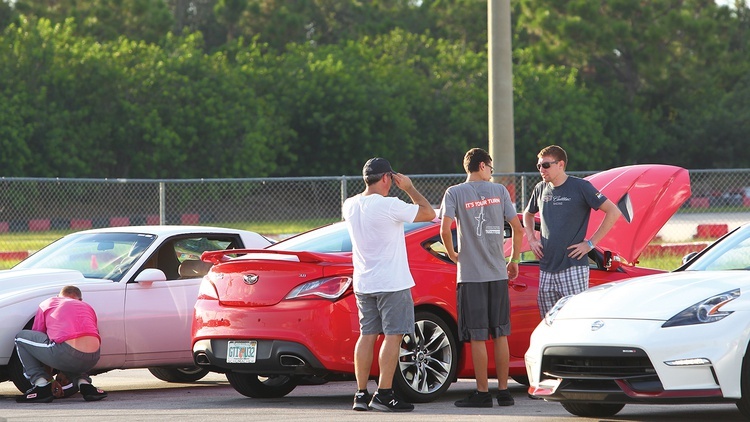 Finding a Group: Today’s track day enthusiast is served by a variety of groups. Some run events across the country while others stick to just one or two tracks. Who runs where? 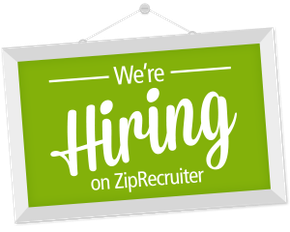 Check this story’s source box for more info. You’re going to need something to drive. It doesn’t need to be the latest and greatest. And it definitely doesn’t need 700 horsepower. Other than jacked-up trucks, most passenger vehicles are fine. Different organizations can have different restrictions on convertibles, though, so check the regulations. You don’t need the latest race tires for your first track day, but yours should be free of any issues. A high-performance model that will remain consistent is a good thing. For tire pressures, we’d recommend the manufacturer’s spec. You can always adjust up or down as necessary. Most groups will either inspect the car or provide some sort of self-tech sheet that covers the basics. Are the seat belts and seats properly secured? Any damage to the windshield? Does the throttle return spring work as intended? Battery tied down? Fluids fresh and at the proper level? All lugs present and properly torqued? Once you have found your preferred group, pick something on their schedule that works for you. Preregister so you don’t lose your place in line. A few groups provide loaner helmets, but they can be a little gross. A new helmet meeting Snell SA2015 specs can start at around $200. Some groundwork can help move you ahead of the curve: Drive that track on your favorite simulator, watch in-car videos on YouTube, and maybe even go to a track day as a spectator. 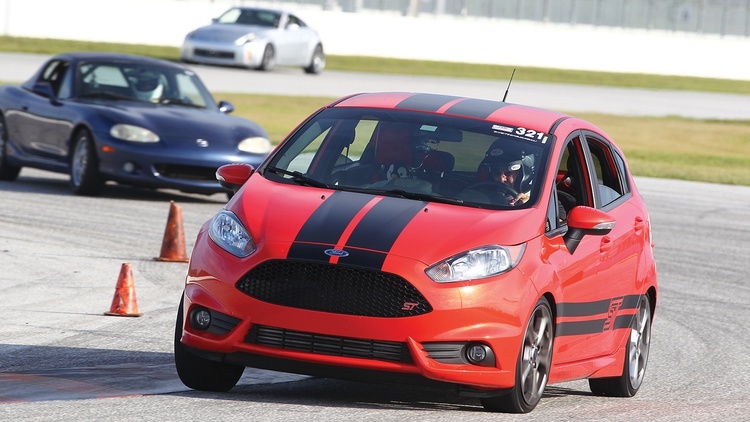 Autocross is a great way to hone those skills, too. For some pre-event reading, we recommend “Look Ahead! Be Smooth!” from our June 2016 issue. Get a good night’s sleep, pack plenty of water and snacks, smear on some sunblock, and arrive early for the big day. We like to come prepared for most common snafus, so we’ll pack some racer’s tape, zip ties, window cleaner and some rags. Magnetic numbers are today’s standard, but racer’s tape can be used in a pinch. What to wear besides your helmet? A long-sleeve T-shirt, jeans and closed-toe shoes are usually the norm. Don’t forget to regularly torque those lug nuts, too. Once on track, look ahead, watch your mirrors and corner stations, and remember to breathe. Have fun. 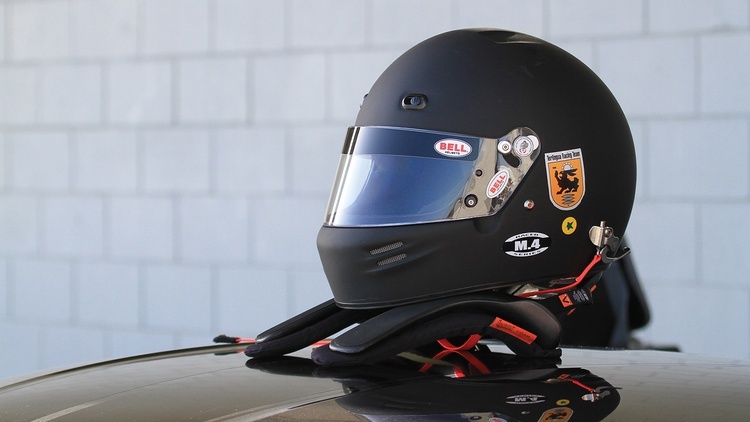 Most track day groups require a helmet carrying either a Snell M (motorcycle and other motorsports) or SA (competitive auto racing) rating. These standards are usually updated every five years, with the 2015 specs released on October 1, 2015. Most groups do not require the latest Snell rating, meaning that SA2010 helmet is likely still good. Specifics can be found on the groups’ sites or in their rules. How do the SA2015 helmets differ from previous models? The big difference: The mounting points for a head and neck restraint have become standardized and required. New opportunities keep making it easier than ever to get your car on track in a non-competitive environment. Here are some of the clubs and groups that can help. 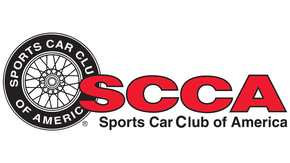 Having done quite a few HPDEs I feel that theSCCA's TNiA is a very well run event and the best around for newbies. Getting gas on the way to the track I was greeted with a Z06, Viper on a trailer newer M car and other very capable rides. At check is I asked if I was in the correct group based on the serious iron in the lot. They very confidently asked if I chose my group based on the descriptions, and if I was comfortable passing and getting passed, I was. I was told that after the first session it didn't feel right I could switch. Turns out all the fast cars were in the beginner group, and I spent the whole day chasing and be chased by an M3 e36 and having a great day.